Join Us at Different Locations to Restore our Beaches and Shorelines! 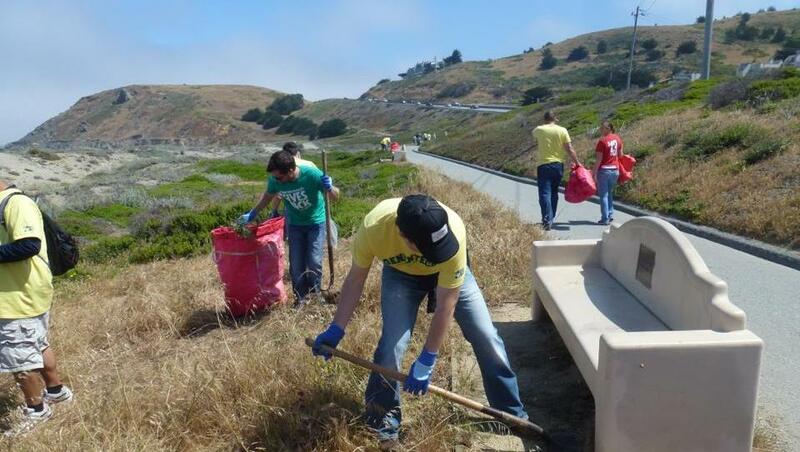 We proudly organize beach or creek cleanups at least once a week from Daly City to Half Moon Bay. Check our monthly calendar for the dates, times and locations of our next field and education programs including cleanups and restoration. You, your group, your company or organization you can always consider adopting your own beach, creek or neighborhood – it’s free to participate and the only commitment is to cleanup your adopted location at least 3 times a year, easy! Finally, be sure to read through the Cleanup Guidelines before participating. We look forward to seeing you! You can contribute to our field and education programs, including cleanups, restoration and education events in Pacifica and along the San Mateo County coast by making a tax deductible contribution or in-kind donation at any time of the year.